Randy Alex, a long-time chemistry instructor at Douglas College, is combining his passion for mountain climbing with a grassroots fundraising campaign for the Alzheimer Society of B.C. 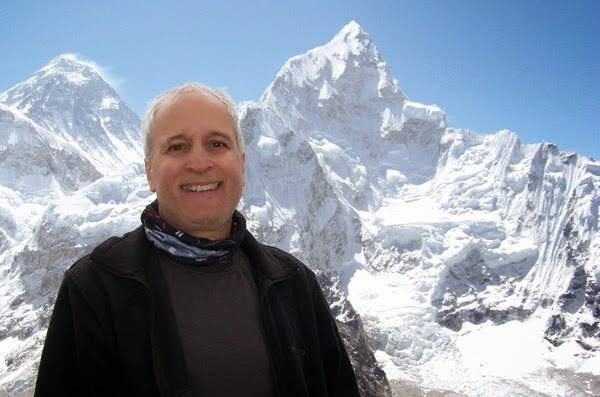 In January 2015, the Port Coquitlam resident will attempt to climb Argentina’s Mt. Aconcagua. At 6,900 metres, the mountain is the highest peak in the Americas and one of the “Seven Summits,” the highest points on each of the seven continents. In the months leading up to the climb, he will be encouraging colleagues from Douglas and others to donate to the society, and organizing community fundraising activities. As a chemistry instructor and past scientific researcher, Randy says he would like to help increase knowledge of this disease, so an effective treatment can be developed. Alzheimer’s disease is a degenerative and fatal form of dementia in which brain cells are damaged, affecting memory, mood and thinking ability. Randy is also making Alzheimer’s a focus in his classroom this semester. For Randy, Mt. Aconcagua is the next in a series of climbs he has completed over the past decade in Africa, Asia and North America. He has previously climbed Mt. Kilimanjaro in Tanzania and Island Peak, which is close to Mt. Everest. Randy says he will pay 100 percent of his personal expenses for the climb and all funds he raises will go directly to the Alzheimer Society of B.C. “I would be pleased to accept any donation people might be willing to offer,” he says. For more information about the campaign and how to donate, email Randy or call him at 604 527 5223.